I love salmon. It's healthy, easy to make, cooks up fast, and you can prepare it a million different ways (at least). 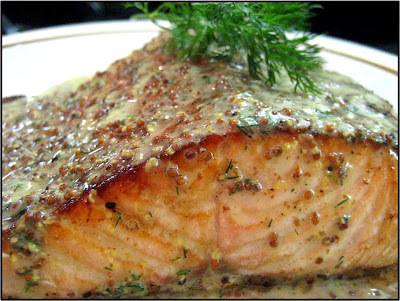 Pair up a piece of salmon with some steamed vegetables to make the perfect mid-week meal. Mix all ingredients and allow flavors to mingle at least an hour. 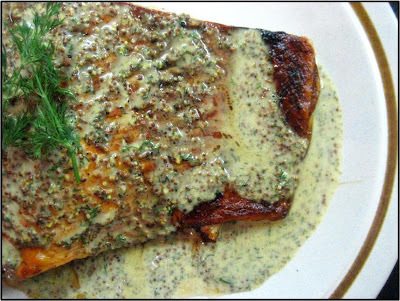 In the meantime, I broiled the salmon after seasoning with salt and pepper. **This sauce was very tasty, but next time, I'll add some lemon zest and replace the heavy cream with yogurt to make it a bit lighter. Also, this makes a lot of sauce - if you are making a one pound piece of salmon, you can reduce this by at least half. I'm tired of winter; it just keeps dragging on and on. I'm tired of cold, drab days, heavy coats and snow boots. I'm sick of icy sidewalks and the dirty piles of snow that refuse to melt. I'm even getting a little tired of heavy, meaty comfort foods that seem to fill up winter menus. I long for warmth and sunshine. I long to ride my bike. 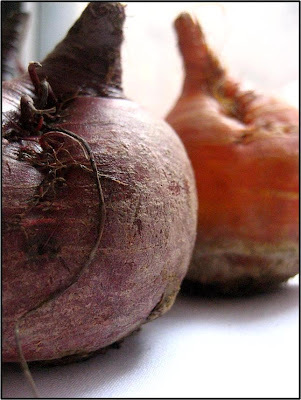 Most of all, I long for the array of colorful and tender fruits and vegetables that come with spring. To help fight my winter blues, I've been eating this salad. 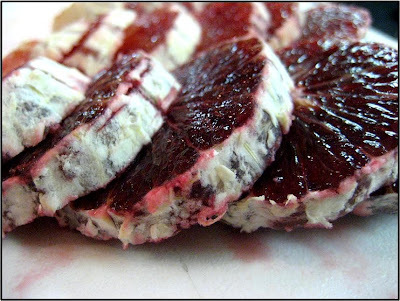 It includes some of the most colorful, flavorful, and healthy winter ingredients: beets and blood oranges. 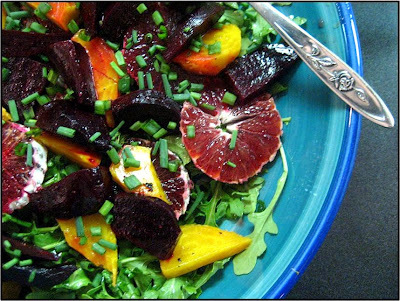 Simple to make, refreshing and satisfying, this salad is gives me hope that winter is almost over. You can find the recipe here, by way of 101 Cookbooks. 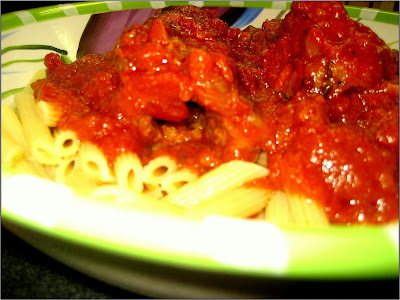 I made this dish a while ago, but it was so tasty and easy, I must tell you about it. At the time, I had half a head of both red and green cabbage leftover from making cole slaw. 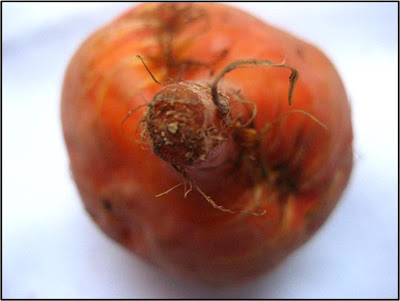 I don't like to waste food and try my best not to let things rot in the back of the refrigerator. Usually I can think of a dish or find a recipe suited to the leftovers I have on hand. But these cabbages were tormenting me. No creative ideas sprang to mind, and all the recipes I found involved buying even more ingredients, which I did not want to do. Just as I was about to throw in the towel and make another batch of cole slaw, Mark Bittman spoke to me. Yup, Mr. Knows-How-to-Cook-Everything-Simply-Bittman saved the day. There he was, on PBS "taking on" an American chef, making spaghetti with cabbage. Brilliant! This was all I needed to use up my own cabbage. 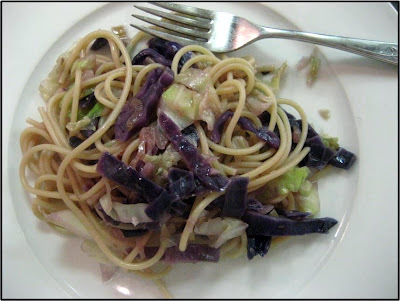 I sauteed some chopped onions and garlic, then added the shredded cabbage, both red and green (I think Bittman added anchovies and used only one kind of cabbage in his version, I don't exactly remember). I cooked the cabbage down, seasoned with salt, pepper, and a pinch of hot pepper flakes. Meanwhile, I cooked up some spaghetti, very al dente. I added the cooked pasta to the cabbage and threw in some starchy pasta water to coat the spaghetti, then cooked until the pasta was ready. I served it with some freshly ground black pepper and grated parmesan cheese. Some very nice people gave me a subscription to Gourmet Magazine for Christmas and I've been awaiting its arrival. I was so excited when I finally got my first edition. Reading through, I marked many recipes I want to try; this was the first and it didn't disappoint. 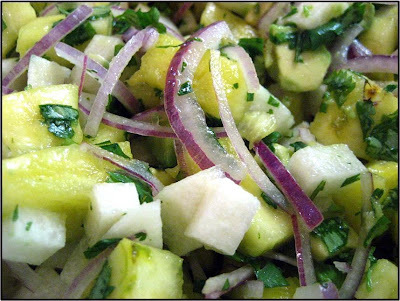 I love salads that mix in fruit; I love the sweetness and tartness that fruit adds. 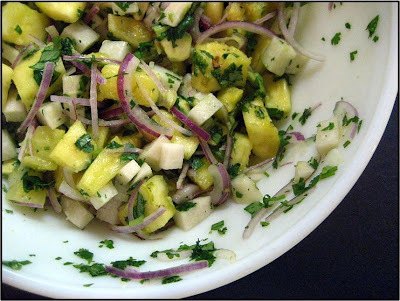 This salad was a great mixture of taste and texture - sweet pineapple, creamy avocado, crunchy jicama, spotted with little bursts of flavor from the cilantro. This was quite a lot of salad for 2 people, so I ate it again the next night. This time I added a sprinkling of crumbled feta and some freshly ground pepper -- it was even more amazing! Sweet, savory, light, crunchy, and delicious! Toss ingredients together and season with salt and pepper. Note: I suggest you make this salad one day in advance and store in the refrigerator. To serve, bring the salad to room temperature and sprinkle with crumbled feta and add some freshly ground pepper to taste. To Nutella: Nutella, I love you. And I am so happy to celebrate this very special day with you. 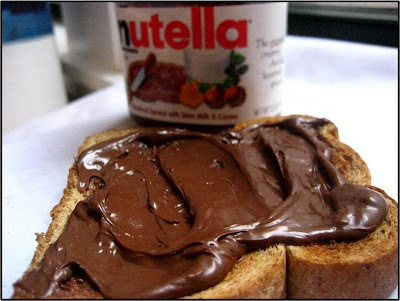 I enjoyed you this morning as you should be enjoyed -- simply spread on a piece of toast so I could taste all of your chocolately, hazelnutty goodness. 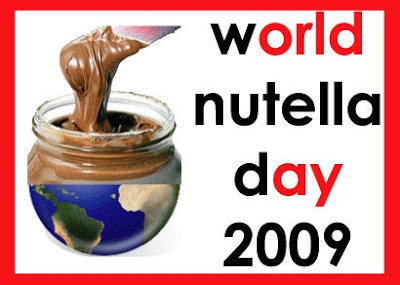 To the others: Today is World Nutella Day! Eat some. You know you want to. Check out what others are doing with Nutella today at Ms Adventures in Italy and Bleeding Espresso - the hosts of World Nutella Day. Out of nowhere, I had an intense craving for a gingersnap cookie. I wanted something sweet and spicy. However, I don't love crisp cookies, and wanted something softer and chewier. 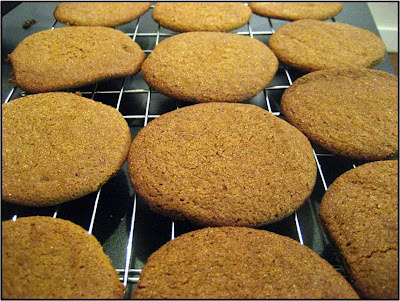 These Spiced Molasses Cookies from Dorie Greenspan hit the spot. They had a bit of crunch on the outside, were chewy on the inside, and sufficiently sweet and spicy. 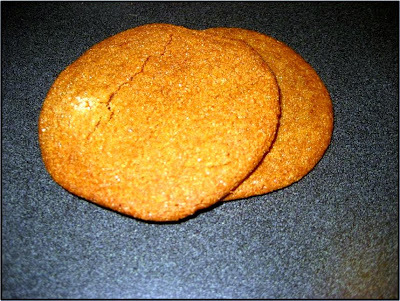 If, all of a sudden, you are craving gingersnap or molasses cookies - I suggest these. Whisk together the flour, baking soda, salt, ginger, cinnamon, allspice and pepper. Beat the butter on medium speed until smooth and creamy. Add the brown sugar and molasses and beat for 2 minutes or so to blend. Add the egg and beat for 1 minute more. Reduce the mixer speed to low and add the dry ingredients, mixing until the flour and spices disappear. If some flour remains in the bottom of the bowl, to avoid overbeating the dough, mix in the last of the dry ingredients by hand with a rubber spatula. The dough will be smooth and very soft dough. Divide the dough in half and wrap each piece in plastic wrap. 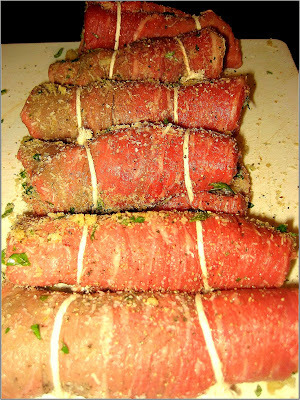 Freeze for 30 minutes, or refrigerate for at least 1 hour. (I left in the refrigerator overnight and baked the cookies the next day.) Center a rack in the oven and preheat the oven to 350 degrees F. Line baking sheets with parchment. Put the sugar in a small bowl. Working with one packet of dough at a time, divide it into 12 pieces, and roll each piece into a smooth ball between your palms. One by one, roll the balls around in the bowl of sugar, and place them on the baking sheets. Dip the bottom of a glass into the sugar and use it to press down on the cookies until they are between 1/4 and 1/2 inch thick. Bake the cookies one sheet at a time for 12 to 14 minutes, or until the tops feel set to the touch. Transfer the cookies to a rack to cool to room temperature. 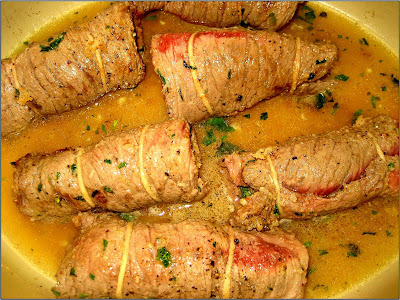 Beef braciole is easy, tasty and makes the whole house smell so good. The most time consuming part is rolling and tying the meet, but it's well worth it. Nonni would be so proud. I have no recipe, but the procedure is easy: first, cut and pound out some boneless beef. 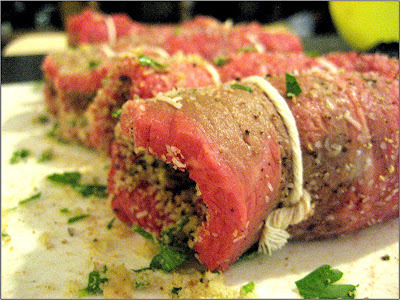 Stuff, roll and tie up the beef (I made a stuffing with some breadcrumbs, fresh chopped parsley, minced garlic and olive oil). I seasoned the outside of the rolls with salt, pepper and a little garlic powder. Heat olive oil in a dutch oven and brown the rolls. Add some white wine to deglaze the pan, then add tomato sauce (not too much, you don't want the rolls to be covered in sauce). I used a marinara sauce I had on hand in the freezer. Bake in a 350 degree oven until the beef is tender. Served over pasta - yummy!